Guardclean -RC is a powerful cleaner for radiator, to remove the dirt, grease, scale, grime & solder from the engine cooling system without damage to any part. - is acid free descaling concentrate specially formulated for heavy duty cleaning systems. - it is alkaline in nature, free from acid and blended with special chemical ingradients for removal of scaling. Rust, oil. Discription:- CRC Radiator Clean removes scale and rust from the inside of the radiator/cooling system. Protects against corrosion. - Effectively removes deposits from entire cooling system. - Remove rust and scale from internal engine block assembly radiator core and coolant lines. - Removes suspended particulate contaminants . 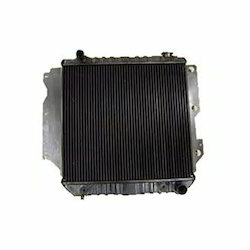 - Improves coolant circulation and heat transfer. An instant Radiator Flushing solution to remove hard adhering scales, rust and mud deposits from the Automobile and Generator Radiators and Heat exchangers, without dismantling the equipments.